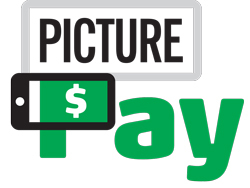 Dupaco’s Picture Pay allows you to use your phone to take a picture of a bill and initiate a payment. If you aren’t able to take a picture of a bill, as an alternative, you can also manually make a payment, and you can use Picture Pay from a tablet or computer, too. Am I eligible for this service? All Dupaco members who have a Dupaco checking account in good standing and have registered to use Shine Online Banking are eligible to use Bill Pay. Don't have a checking account set up yet? Open an account today! Is there a cost to use Picture Pay? If you elect to use Picture Pay, there is no fee per payment, if you meet the Cooperative Pricing relationship as follows: if at the time of the payment posting the total of all your credit union loans or all your credit union deposits held under the checking member number is maintained at $1,500 or more, and you are signed up for our free eStatement service. If you do not meet Cooperative Pricing eligibility, there is a fee per bill paid. Refer to our service fees for more information. How do I use Picture Pay? 1. Log in to Shine Mobile Banking. From the main menu, select Pay Bills. a. To setup a new payee by taking a picture, select Pay With Picture. You will be prompted to take a photo of the bill, or select a photo from your camera. Please be sure your picture includes your name and/or account number as well as the payee address information. After that, you may select the amount to pay and the payment due date. Your payment will go into a Scheduled queue and may appear with a Payee name of “Processing” until the payee is confirmed. When the payment is sent, the payment will change to the Processed status. b. To enter payee information manually, select Use Payee List and then Add Manually. Payee name and address information is required. c. After you setup a payee, you will have the option to schedule your first payment by entering the amount and date you would like the payment to arrive, typically the due date of your bill. You will also receive an email confirmation once the payee is fully active. b. Touch the arrow next to the payee and then enter the amount and date you would like the payment to arrive, typically the due date. c. Payments will appear in the Scheduled queue until they have been processed. 1. Log in to Shine Online Banking. From the main menu, select Pay Bills. 2. If your payee is already in your list, type the amount you'd like to pay and the "deliver by" date. You may set up payments to multiple payees on this screen. Once done, select Submit Payments. Your payment will go into a scheduled queue. When the payment is sent, the payment will change to the Processed status. You will receive email notifications when a payee is added, and when a payment moves to processed status. 3. If your payee is not in your list, select Add Payee. Add your payee information (payee address and payee name are required) and click Add. Once payee information is added, return to Payee List by clicking Bill Pay. Add the amount you want to pay and the date due, then enter. Your payment will go into a scheduled queue. When the payment is sent, the payment will change to the Processed status. You will receive email notifications when a payee is added, and when a payment moves to processed status. When will the payment deduct from my account? The date the money will be debited from your account depends on how the payee accepts payments. If the payee accepts electronic payments, the date the payment is debited from your account is one business day before the payment date you selected. If the payee can only accept mailed, paper checks, then the payment will debit your account when the payee cashes the check. From what account will the money be withdrawn? Funds will be withdrawn from the member's Dupaco checking account only. If you have multiple checking accounts under one member number, you may select which checking account you’d like to use. What happens if there are not enough funds available to cover the payment? If sufficient funds to cover the overdraft are available in the share savings account, and if your account is set up for an automatic savings transfer, Dupaco first will transfer funds from your savings or other designated account to cover the payment. (Limits on the number of savings transfers which can be made per month apply.) If sufficient share draft checking and share savings funds are not available and you have Overdraft Privilege, the system will honor the payment and apply the normal Overdraft Privilege fee. In all other cases, the system will attempt to make the payment three times before the scheduled payment is cancelled. Can payments be sent internationally? No. Payments cannot be made to foreign companies due to the exchange rate differences. All payments are made in U.S. funds. What can't be processed through Online Bill Pay? Many government agencies and collection agencies will not accept payments made through a third party bill payment provider. Please check with the agency prior to attempting to make a payment. Dupaco cannot be responsible for payments that were refused by the payee. Is there a minimum and maximum amount for each payment? There is no minimum amount for a payment. The maximum amount for an electronic payment is $2,500.00, and $9,999.99 for a check payment. Once the funds have been withdrawn from my account, can the payment be stopped? Electronic payments are considered PAID when the funds are withdrawn. THERE IS NO WAY OF STOPPING ELECTRONIC PAYMENTS. You may put a stop payment on paper check payments if the check has not yet cleared your account. Regular stop payment fees apply; refer to our service fees for more information. You are responsible for any penalties imposed by the payee if you stop a paper check payment. If my payment does not get applied, how soon can I expect a resolution to my inquiry? The member will receive a response within 24 hours and can expect the problem to be resolved within 10 days of contacting Dupaco's Card Services department at (563) 557-7600 / 800-373-7600, ext. 201. If a check is issued to the merchant or payee and gets lost in the mail, does the system automatically refund the money if the check has not cleared within a certain period of time? What should I do if the payment is not applied? Contact the merchant or payee. Inform them of how and when payment was made. If you have any difficulty gathering this information, contact our Card Services department at 800-373-7600, ext. 201. If a payment needs to be traced, whom do I contact? If a payment needs to be traced, contact Dupaco's Card Services department at (563) 557-7600 / 800-373-7600, ext. 201. How do I get copies of cleared checks? Check-copy requests should be made to our Card Services department at (563) 557-7600 / 800-373-7600, ext. 201. A check copy fee will be applied. Refer to our service fees. Does Picture Pay have an eBills feature? At this time Picture Pay does not integrate with eBills. With my phone, can I take a picture of a bill that I have brought up on my computer screen? Yes. As long as the image is readable, and you capture all the payee and bill information needed in the photo, you may take a picture of an image on your computer screen. Can I set up recurring payments in Picture Pay through my phone? Yes. Once a payee is in your payee list, you may set up recurring payments as long as the payment will have the same payment amount each time. To set up recurring payments select Use Payee List from the menu, then tap the recurring icon to the left of the payee. Can I upload a PDF, JPG or other image in Picture Pay through my desktop computer? No. Through the desktop version of Picture Pay, all payees must be manually entered. If you would like to upload payees and pay bills by taking a picture, please access Picture Pay through your tablet or mobile phone. You may schedule payments for existing payees on any device or PC.